Ever wondered how many people visit your website daily, how long they stay on your site, and what they do while they&apos;re there? Anyone who manages a website will tell you that this information is integral to tracking the success of a website or ecommerce business. Thankfully, Google Analytics provides a free, data-packed platform where you can see and interact with all that data and make informed business and marketing decisions based on past performance and trends. 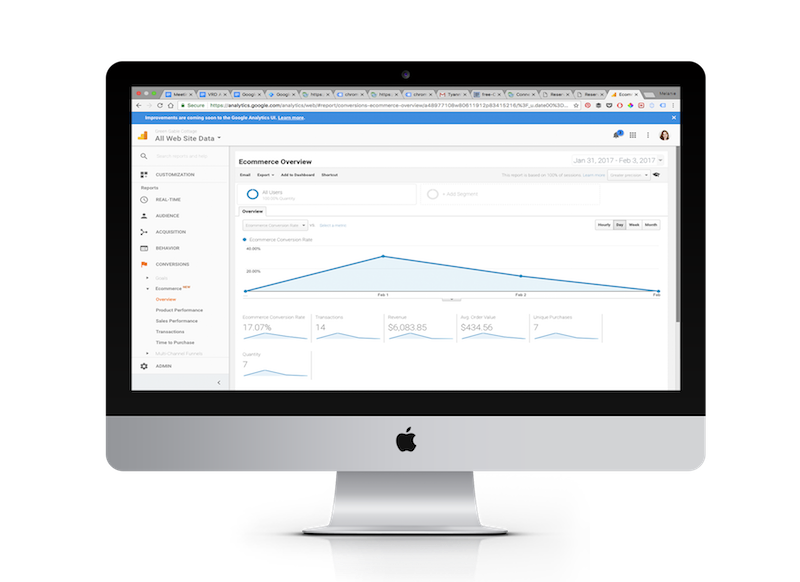 Google Analytics is a free, online application that tracks page views, visitor interactions, and other relevant data on your website. Google Analytics not only provides your business with a wealth of information about your customers, but it allows you to identify trends in the way guests interact with your site and helps you decide how to best spend your advertising dollars, should you ever want to invest. Your Google Analytics tracking code sends a small message to Google every time someone interacts with your website. With the code installed, you can see who&apos;s viewing your website content, such as looking at your rental photos, or who&apos;s checking dates on your availability calendar. 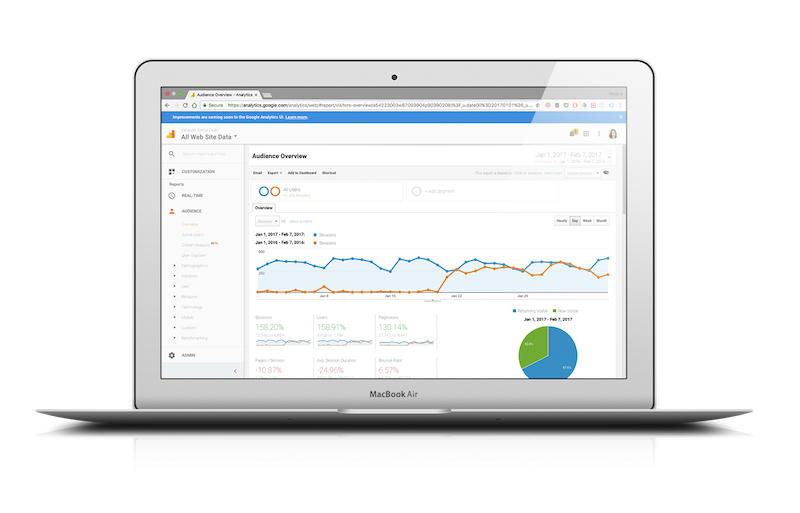 More importantly, you can track online bookings through Google Analytics to determine how well your marketing efforts, such as search engine optimization, blog posts, and social media posts, are working to grow your business. 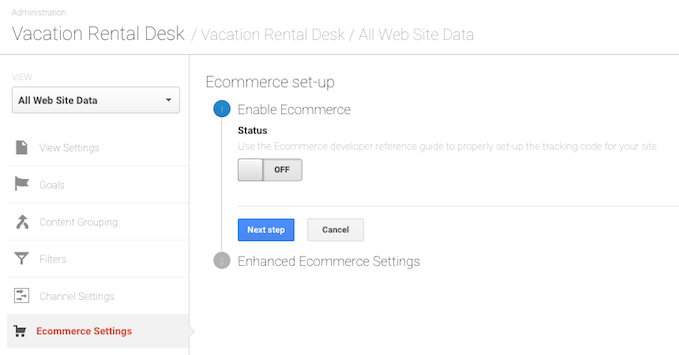 Both Google Analytics and Facebook Pixel, a similar web tracking platform for Facebook, are supported through your Vacation Rental Desk website. With one easy step, you can track data on every page of your website, including page views, email inquiries, and rental bookings. 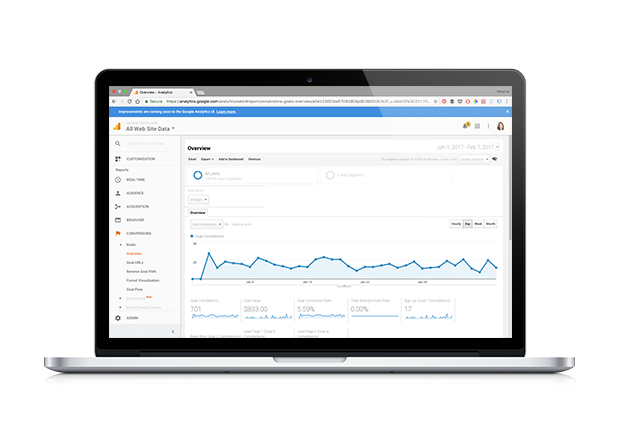 Getting started with Google Analytics is quick and easy. After setting up your Analytics account with Google, simply copy the tracking ID code and enter it into the Google Analytics box in your Member Dashboard under Settings » Website & Photos » Web Tracking Codes. Once you&apos;ve integrated your code, go back to Google Analytics under Admin » Tracking Info » Tracking Code to check the status. As Google begins gathering data from your website, you&apos;ll start to see traffic displayed on your Reports page, including real-time tracking and conversions. Google&apos;s new Ecommerce tracking feature for Analytics makes tracking sales on your site easier than ever. The intuitive feature is optimized to take the reservation amount from the order confirmation page on your site every time a rental is booked and track that data in your Analytics account. To see Ecommerce tracking on your site, you&apos;ll need to manually enable it in your Analytics settings. To do so, go to Admin » Ecommerce Settings and toggle the status button to ON. On top of Ecommerce tracking, you can also set goals in your Analytics accounts for specific actions you&apos;d like visitors to take, such as reading reviews, viewing your availability calendar, reading your blog, sending an email inquiry, or looking through your photo gallery. 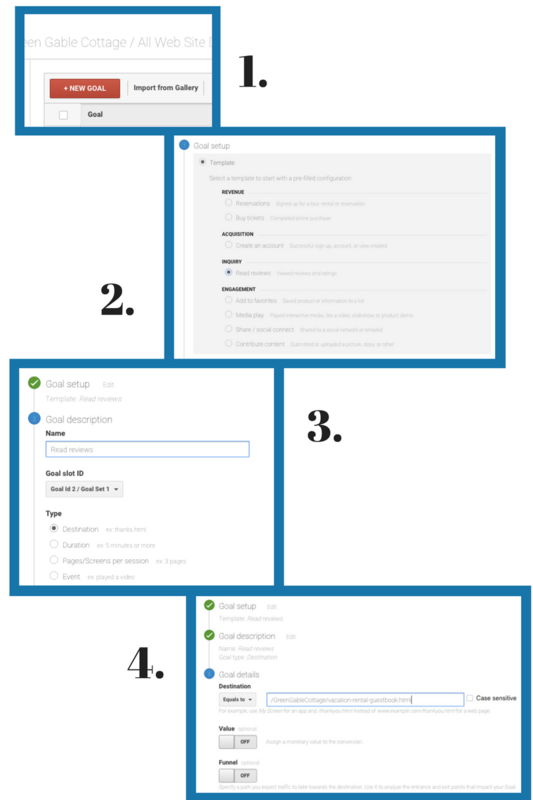 To create a goal in Analytics, navigate to Admin » Goals and select New Goal. From here, you can set up your goal in the way that works best for what you&apos;re tracking. You&apos;ll need to name it and choose a type. Plug in your destination, such as the URL of the page you want to track, and assign any necessary values. You can also click "verify this goal" which cross-references it with previous Analytics data to see if your goal is correctly set up. How long are guests staying on your website? Where are guests coming from to get to your site? Social media? Organic search? Listing sites? What percent of guests who visit your website actually make a reservation? How do people interact with your content pages? Are people reading your blog? Looking through your photo gallery? Browsing local activities? Considering these questions when looking at your Analytics data can give you the insight you need to expand your business and fill your reservation calendar.